Jewellery is a very fascinating term. It has a lot of sparkle in it. It is a fashion statement for ladies and a matter of fortune for gentlemen. Do you know a lot of labor, creativity and hard work go in making these beautiful pieces of art? It all starts with melting of precious metals like GOLD, SILVER etc. Today jewellery is manufactured with the help of a lot of sophisticated machines and techniques. Jewellery is not manufactured with 100% Gold or Silver as these metals are very soft. Some alloys are added to increase hardness of these precious metals these alloys also enhances other properties like color, and workability. Garg Electroheat are importers and sole selling agents of Gallorini brand Alloys and Solder Powders from Gallorini snc, Italy. Gallorini manufactures world class Alloys and Solder Powders. Jewellery manufacturing is associated with metal refining to recirculate old metal and the scrap metal. Garg Electroheat represents Italimpianti Orafi spa, Italy for their Refining and Casting Machines. It is seen that LPG is used for jewellery production in the form of soldering and brazing torches. This method of soldering and brazing is very hazardous for workers as well as very risky for storage. A very environment friendly way to generate flame is from disassociation of water in oxygen and hydrogen. If hydrogen is burnt in presence of oxygen it emits water vapours which are not harmful for health at all. Garg Electroheat are representatives for McPhy Energy, Italy for their Gas Generators. Go Green. As the value of Gold is increasing every day people have started looking for alternate jewellery. Platinum is now within reach of common people. Garg Electroheat are sole selling agents for Hot Platinum, South Africa for their range of Platinum Group Metal Melting and Casting Machines. Garg Electroheat is a sister concern of Garg Overseas wherein we manufacture a range of Induction Gold Melting and casting machines. Garg Electroheat is regarded as one of the trusted and leading manufacturer of Induction Gold Melting Machines. 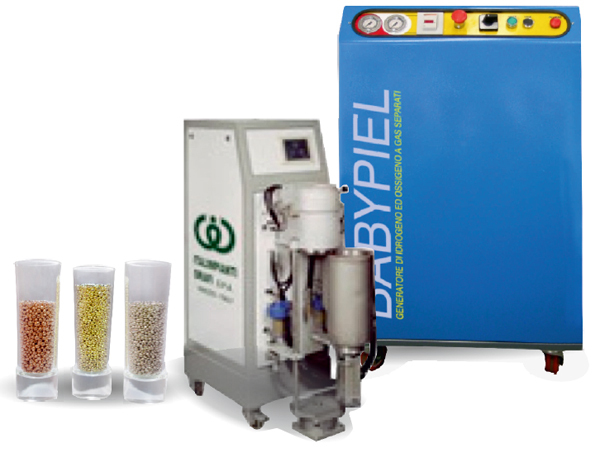 We manufacture from 1 Kg to 20 Kg capacity Gold Melting Machines. We have hundreds of satisfied clients all over India and abroad. Garg Electroheat is a trusted name for quality and service in jewellery field. It is headed by Rajesh Garg (BE Electronics, CPMHRM IIT Mumbai). He has experience of 10 years in working with some of the leading companies of the world in this field. Garg Electroheat is dealer and distributors for many world class machines for jewellery industry.